Click on each date for a wind rose image during the dust event (reduced-size example on right). We have estimated beginning and end times of each event based on observations from Silverton, CO. It is reasonable to assume that our skill at detecting dust-on-snow events has improved over time and that we may have failed to observe very small events during the early years of this work. 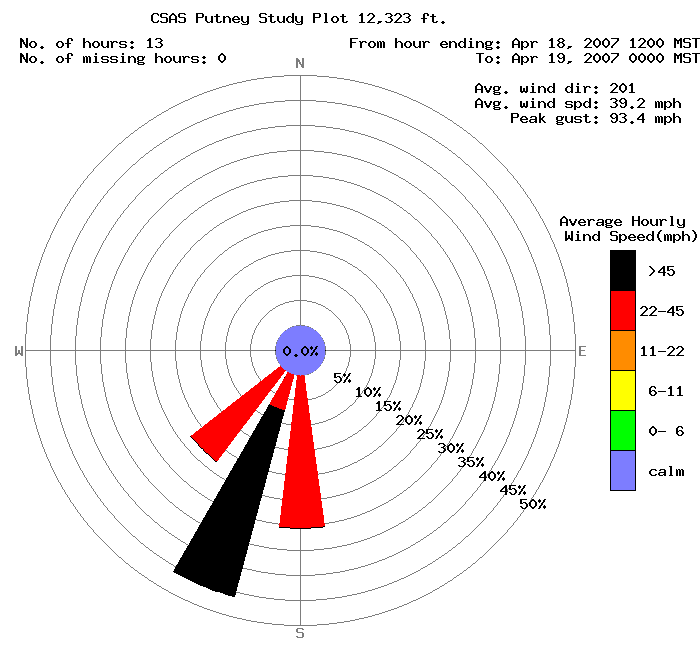 Additional wind roses can be created using our wind rose tool.